Spirulina for HIV – Best natural treatment for HIV? Spirulina may be one of the best natural supplements that one can take to combat the HIV virus. It is clinically proven help stop it and this needs to become more known around the world. HIV is widespread virus that effects people from every region on earth. But there is one strange thing about the regions of people that are effected the most. Japan, Korea, and Chad all have relatively low HIV/AIDS rates compared to other regions of the world. And what else do these countries have in common? The people of these countries supplement spirulina commonly and have been doing so for ages. So are low HIV/AIDS rates correlated with the consumption of spirulina? This is a great question and it inspired a number of scientific studies. One of the most notable is a study that was published in the Nutrition Journal in 2015. While spirulina may not get rid of HIV or AIDS, it will help slow it progression. A massive study of 169 HIV subjects was conducted Cameroon, Africa, which has a high HIV rate. Of the 169 test subjects 87 of them were part of a control group that did not supplement spirulina. And the other 82 were the intervention group, which did supplement spirulina. The intervention group supplemented 10 grams per day (common dose for spirulina powder) for an entire year!. And the results were significant. CD4 count cells were significantly higher and viral load levels significantly lower in the group that supplemented spirulina. For those of you who are unfamiliar with these terms, CD4 count tells how well the body’s immune system is working and viral load levels are a measure of the amount of HIV virus in the body. So in this large study spirulina proved to increase immune system function as well as decrease the amount of HIV in the blood, which was probably a side-effect of the strengthened immune system. Spirulina strengthens your immune system! The fact that spirulina strengthens your immune system has been studied in a number of different areas. It has been proven to prevent and even reduce existing cancer, as well as stop or decrease allergies, both of which can be partially attributed to the immune system functioning better than normal. One of the main nutrients in spirulina that contributes to immune health is Phycocyanin. Phycocyanin is a very powerful antioxidant, anti-inflammatory, and neuroprotective agent. Another notable group of immune system boosters that spirulina contains are polysaccharides. These nutrients are well known for improving the immune system and help to prevent all kinds of illnesses. As I mentioned above, the study that was conducted on 169 subjects that saw significant improvement in their condition was 12 months long. Other shorter studies have not seen as notable of improvement. In fact there is one study that was published in the Journal of Applied Phycology in 2012 that tested subjects with different lengths of testing. In this study, 1 of the test subjects continued for extended testing for 13 months. All other test subjects left the study at 3 months. The people that left after 3 months did not see much in terms of prevention of HIV/AIDS. But the 1 subject that continued on for 13 months total saw a significant improvement in CD4 and decrease in HIV viral load. So based on these studies it seems that the effects don’t become very noticeable early on. 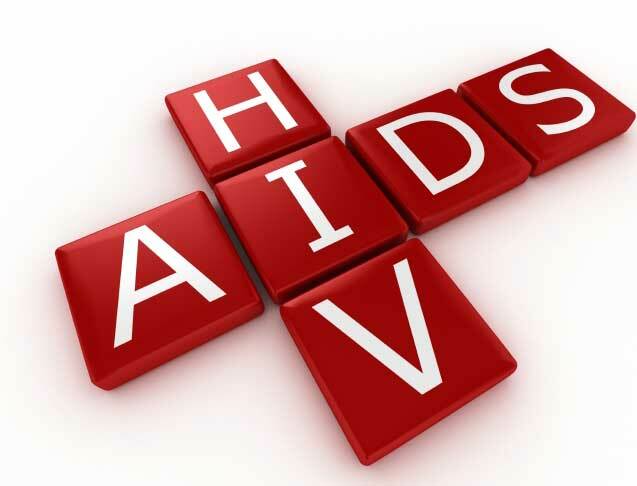 You have to supplement for quite a long period to see improvement in your HIV/AIDS condition. Spirulina has many great properties. One of which is that it is able to absorb toxins from your body fairly easily. Unfortunately, it can also absorb toxins from the environment very easily. For this reason it is VERY important that you buy your spirulina from a credible and reliable source. This is by far the first I have heard of spirulina and any sort of health properties that it has. This really just concretes the fact that I really need to spend more time researching herbal and natural supplements as opposed to all the common medicine out there that has sooooooo many side effects. I do like the fact that you are mentioning that it does not cure the disease but that it slows it down and boosts your immune system so that you are less likely to have to deal with the long term effects of the condition such as HIV turning into full blown aids. If it does indeed boost the immune system with white blood cell production it can be used by everyone to help prevent little things such as the common cold or even help prevent major infections for cancer patients on chemo. I know many of these people are desperate and every little bit can help. Even a little bit of relief is completely worth it. I would like to see an article that discusses Phycocyanin in more detail. Great article though, I learned something new. Yes, its immune boosting properties have a bunch of benefits as you can imagine. I have a post on taking spirulina for allergies Here. And I do plan on writing an article on Phycocyanin very soon. Its amazing all the benefits it has. I knew about the health benefits of spirulina. But I did not know that it had such a drastic impact on aids/HIV patients. In general I know it’s a great supplement for overall health. Very interesting. I’m glad you put a link to the study. I intend to read it and learn the details of how spirulina works. Spirulina is quite amazing. Its not just a hippie food like many people think. I’m glad you enjoyed the article.